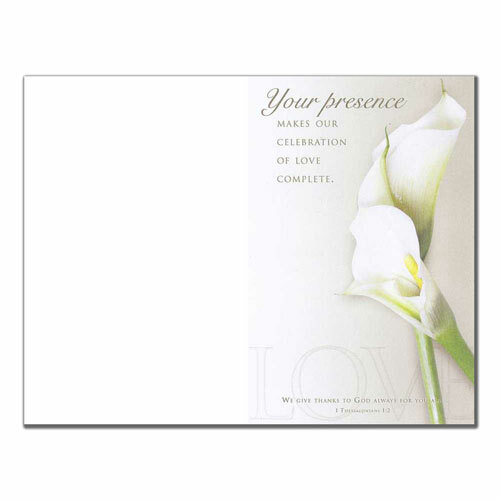 Wedding program paper design 6267 features a pair of beautiful calla lillies along with the phrase - Your presence makes our celebration of love complete. The bible verse - We give thanks to God always for you all. 1 Thessalonians 1:2 at bottom center of cover. 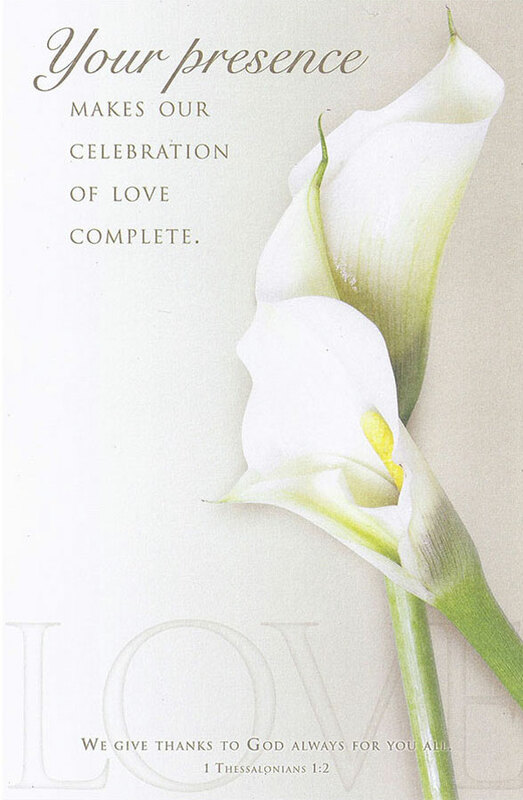 The word LOVE is faded into the background at bottom of cover.